Located at the geographical centre of Bavaria; one of the most beautiful parts of the nature park “Altmühltal” and a state-approved health resort. Limes remains and reconstructed watchtower are easily accessible via signposted trails. Limes feast: every year around Assumption Day; Roman and Bavarian museum with Information point Limes at Castle “Kipfenberg”, where five different eras are presented; Limes Memorial stone at the inn “Zum Limes”. A church is located within the fort, west of Böhming in the Altmühlniederung (lowland). Defence wall is clearly visible on all sides as rampart. The fort is 800 m away from the Limes. WP 14/78 reconstructed as wooden watchtower (viewing tower). The Limes wall is clearly visible as a debris rampart east of Kipfenberg. East of the road Altmannstein – Mendorf: rampart of the wall in a well-preserved state; the masonry shells are still visible at some points. Remains of WP 15/31. 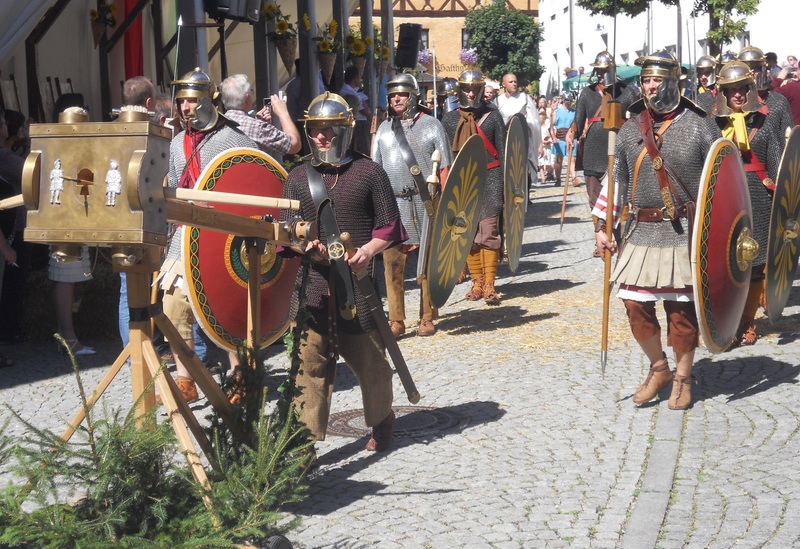 Roman- and Bajuwaren museum at Castle Kipfenberg, where five different eras are presented with Information Point Shows the Romans in the province of Raetia, erection and fall of the Limes and the first "real Bavarian". Trail at the Limes west of Kipfenberg. Conserved foundation walls of WP 14/77. A particularly impressive and excellently preserved Limes section in the form of a huge dam stretches from this point to the top of the mountain spur between Altmühl and Kälbertal.